A group of Civilization players have banded together and formed something called Democraciv, where a whole bunch of humans work together to operate a single Civilization, some of them actually playing, the rest arguing and giving advice. Just like a real democracy, then. Or at least the old-fashioned ideal of one. Democraciv—currently playing Civilization V as the English—has political parties which users can vote into power, and a constitution which divides that power and dictates how everyone is going to play. There’s a Legislative Branch, which debates then forms laws which govern all other aspects of play. There’s a Judicial Branch, which is there to settle the disputes that arise from a large group of humans working in the same confines. And there’s an Executive Branch, which is made up of the people who actually play the game. What happens during that play is then divided up further. Mayors are in charge of city placement, build orders and citizen duties. Ministers are responsible for stuff like trade routes and diplomacy, while Generals order military units around the map (but are barred from actually declaring war themselves). It’s all very civil and polite, and while there’s obviously scope for things to go wrong (all machines eventually fail, even political ones), as of this month things seem to be humming along nicely, with elections taking place and a war going on with Siam (which you can read about here). 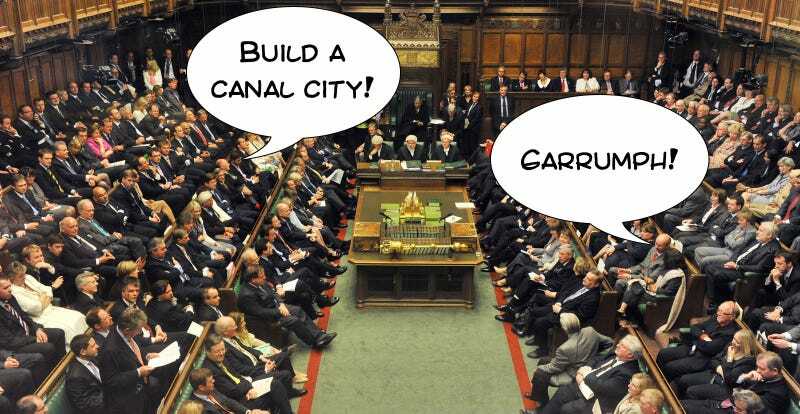 Naturally, everyone voted for a canal city to be built. If you want to check it out, there’s a subreddit where everything is organised here.